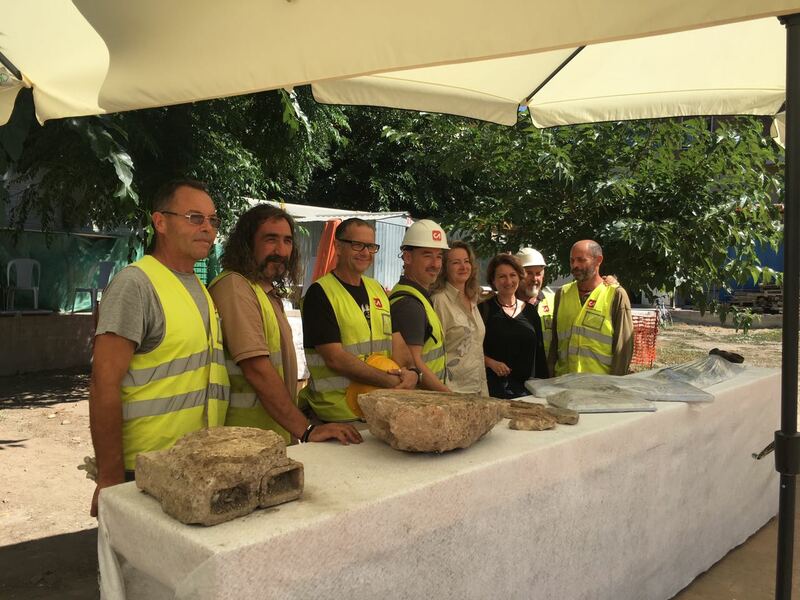 The new archaeological finds unearthed within Line C’s “Shaft Q15” work site at Largo Amba Aradam have been presented to the press. 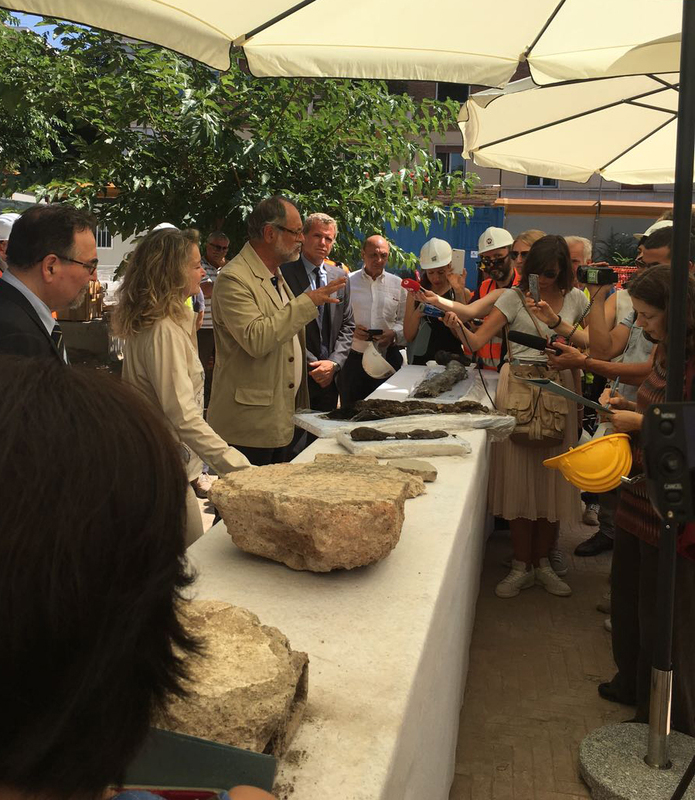 This morning, at the “Shaft Q15” work site, Superintendent Francesco Prosperetti and archaeologist Simona Morretta, the excavation’s Scientific Director, presented the finds to the press. 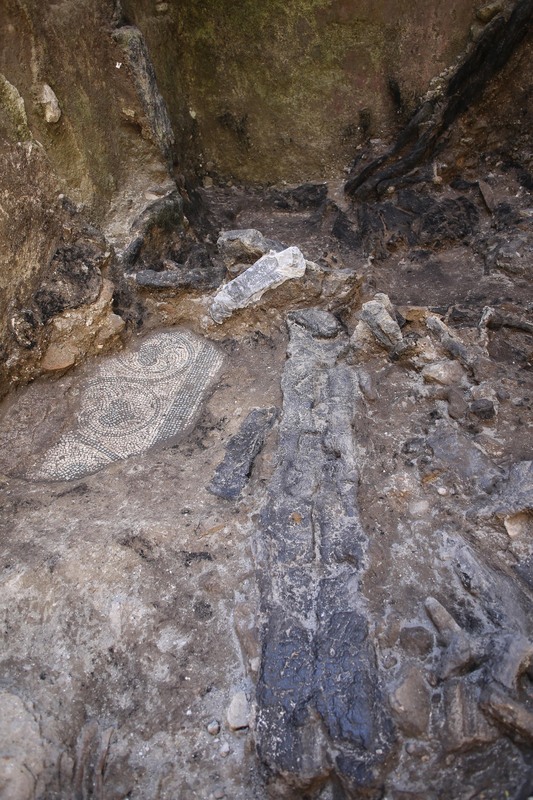 The excavation work sites for building Line C of the Rome Underground reveal a new, hitherto unseen landscape for the Capital: two environments from the middle Imperial Age that, due to a fire, still contain abundant, well-preserved parts of the wooden floor and the furnishings. 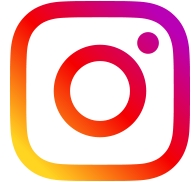 At the moment, the discovery of the charred wooden floor is one of a kind for the city of Rome. The discovery was made thanks to the building of Compensation Grouting Shaft Q15. 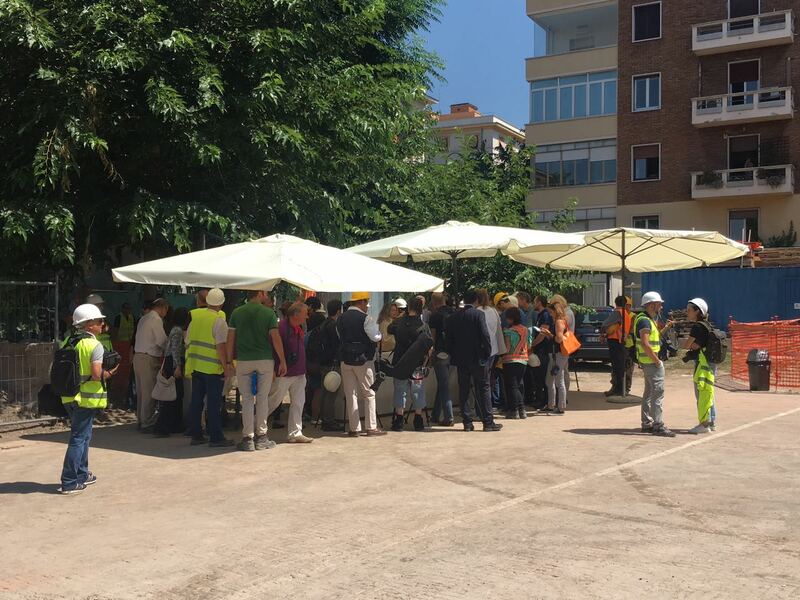 The perimeter bulkheads in concrete piles, and the size of the shaft – 8 metres in diameter and 14 metres deep, 10 of which already excavated – allowed surveys to be done at depths otherwise inaccessible for a normal archaeological dig. The area of the excavation, still underway, involves the southern slopes of the Caelian, a Roman Hill that during the Imperial Age was home to luxurious aristocratic dwellings at the top, while a series of military buildings was built at the bottom, towards the south; the most renowned of these buildings is the now famous barracks recently discovered on Via Ipponio during the excavation of Line C’s Amba Aradam/Ipponio Station. 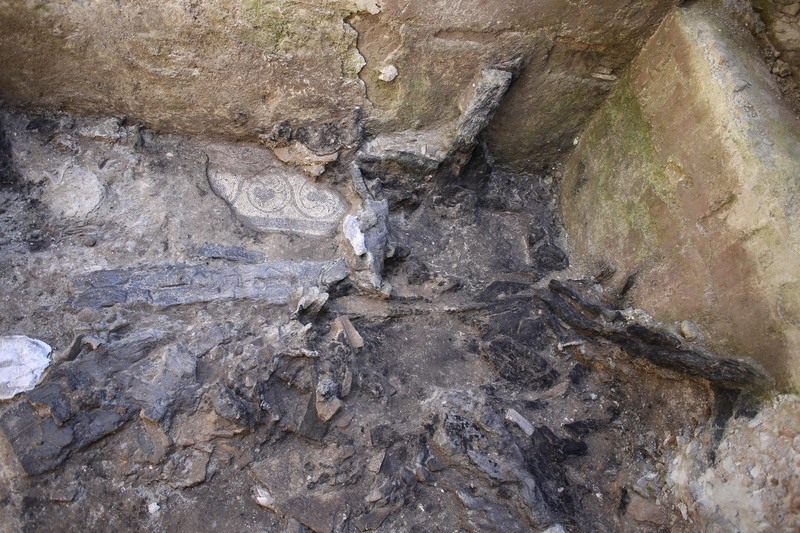 The mosaic floor of the environment containing the remains of the wooden floor is currently being brought to light. 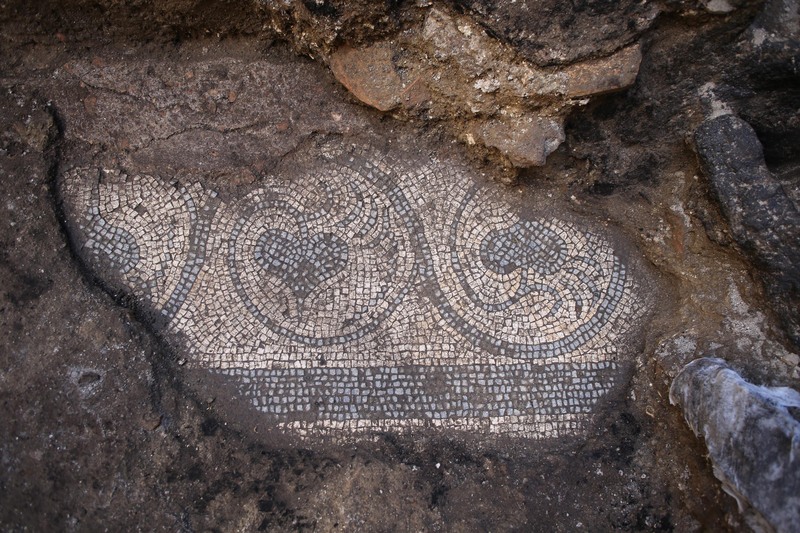 This prized, black-and-white mosaic is edged by a double frame with heart-shaped leaves and running waves. 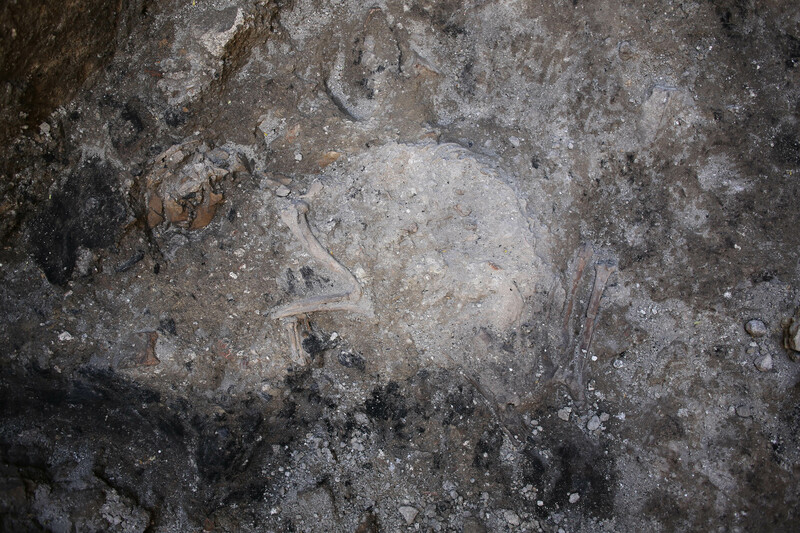 The excavation also unearthed the skeleton of a dog, curled up in front of the door; it had likely remained trapped in the building during the fire – a clue that the structure was not torn down intentionally, but collapsed due to the flames’ sudden spread.